The manufacturing plant of QSMI has developed to meet the GMP requirement and get the GMP certificated from FDA since 2003. 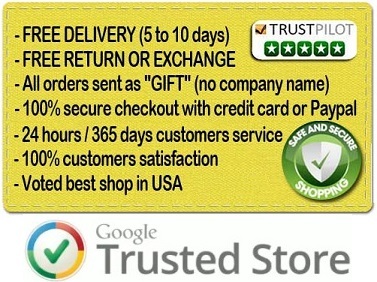 Free Worldwide 3 Days Delivery Express Shipping With Tracking Number and Insurance. 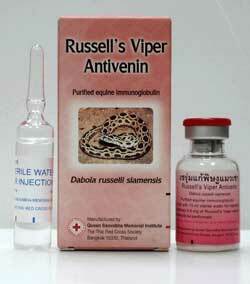 Russell’s Viper Antivenom to Neutralize 0.8 mg/ml of Daboia Russelli Siamensis Snake Venom. Red cross Snake antivenom against Russell’s Viper snake bites for people travelling to Asia and people who own a Russell’s Viper snake. 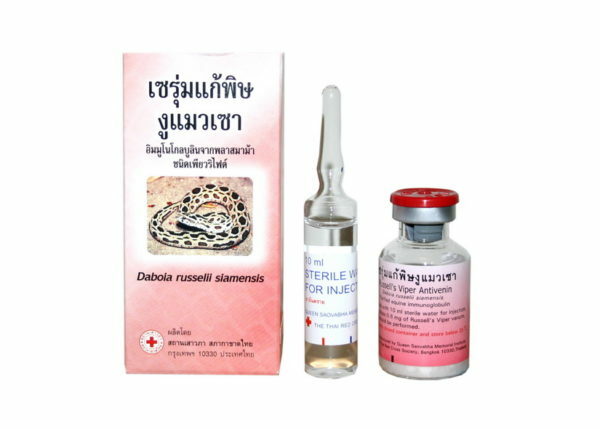 The freeze-dried Russell’s Viper antivenom must be reconstituted with the solution supplied (or 10 ml of sterile water for injection) prior to the administration. 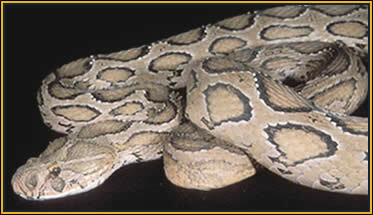 The initial dose of this hematotoxic Russell’s Viper antivenom is 30 ml of reconstituted antivenin that should be given by slow intravenous infusion (approx. 2 ml/min). Subsequent dose can be given every 6 hours according to the clinical symptoms. 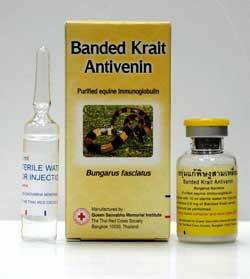 Occasionally, transient tenderness at the injection site, cutaneous reaction and alteration in temperature may occur. 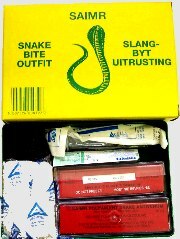 In some cases nausea, vomiting and also circulatory reactions (e.g. tachycardia, bradycardia, hypotension, sweating, vertigo) and allergic reactions (e.g. with flush, urticaria, dyspnea) have been observed, extending in isolated cases as far as shock. Therefore, the patient should be monitored for an extended period of time.Therapeutic measures depend on the nature and severity of side effects. 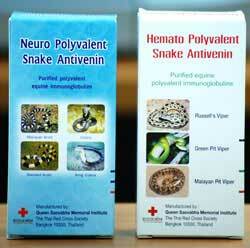 Antihistamines, if necessary adrenaline, high doses of corticosteroids, volume replacement, oxygen. 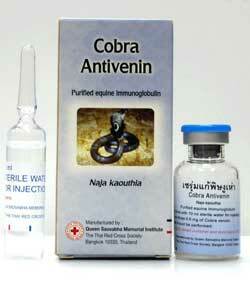 Since the Russell’s Viper antivenom is prepared from horse serum, sensitization to heterologous protein may occur in some individuals. To avoid serious allergic reactions, skin test should be performed prior to the administration by injection of 0.02 ml of 1:100 antivenin dilution intradermally. It should be noted that the skin test may not predict the anaphylaxis nor delay serum sickness reactions.